Plenty of us have been there, wondering how many texts is too many to send to a man who seems hellbent on being non-responsive. How can you tell if he’s dead or just busy? Maybe he’s on a business trip, in the hospital, or is a spy. How long should you wait between texts? One woman, according to some cops, did not ask herself these questions, or else asked and answered them at a freakishly competent speed. Court documents obtained by ABC 15 indicate that Ades began stalking and harassing the man after a single date. In July 2017, police say they found Ades parked outside the victims home and that shortly after officers told her to leave the man began receiving threatening text messages from her. In April, Ades allegedly took a bath at the man’s home while he was out of the country (she showed up on his home surveillance video). Police discovered a large butcher knife in the passenger’s seat of her car, at which point she was taken into custody and charged with trespassing. As for the texts, some of them sound genuinely troubling (for instance, threatening “harm may come to him,” according to police), beyond just their sheer volume (500 a day, according to court documents). 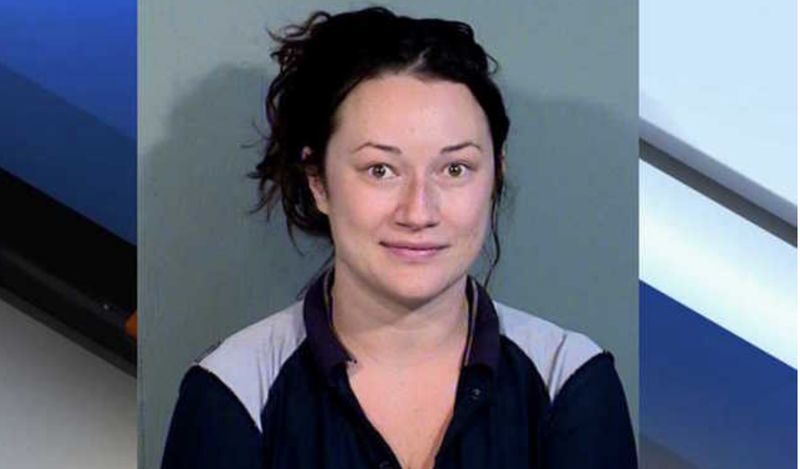 Ades admitted while being questioned by police that the man never responded, even though she’d sometimes text him all day. She also allegedly said she knew her statements were “crazy.” Maybe lock up her phone for a little while?